Composer, musician and producer Nils Frahm steers the new edition of Late Night Tales, set for release on 11th September. 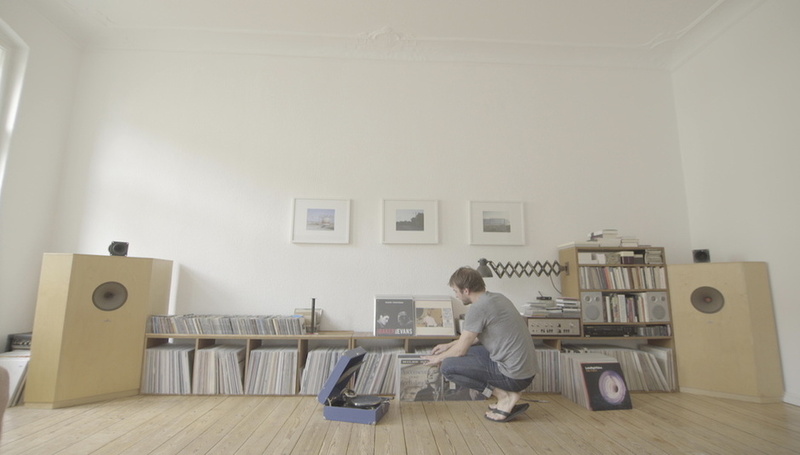 A hypnotic voyage through modern and classical composition, experimental electronics, jazz, dub techno, soundtracks and soul; Frahm's Late Night Tales haunts and beguiles. Many of the tracks have been edited, effected and re-made. I’ve really got off on working on compilations lately. It’s such a wonderful way to delve deep into your music collection. My flat is now crammed with music media of all stripes, from an old hand-cranked 78 phonograph player to 45s and albums on vinyl, my beloved old cassette tape collection, even mini-disks and, lately, WAV and MP3s. It’s all music to me. After spending hours recording from all of these diverse sources, I started to play around with the tunes, layering them, sampling, looping certain parts, extracting phrases and using all the freedom that this allowed me. If I got a little carried away or stepped on anyone’s toes in my quest to do something interesting and original, then I apologise. Some things may have accidentally landed on the wrong speed, while other spooky happening have occurred along the way, whether it’s ghostly additions of reverb and delay or simply subtle edits or reproductions, they’ve all gone into the magical stew I’ve tried to create for your pleasure and edification. I can’t tell you how much fun I’ve had creating this compilation for you but, suffice to say, I hope it will be a nice journey for your mind and heart. This rework could be considered a joke. I sat at the piano in silence and worked from there. I listened and took in the atmosphere and this is what came out of it. Of course, it doesn’t do Cage justice, but it was more fun playing rather than sitting in silence. I have a friend called Laszlo Szell who is an encyclopaedia of musical knowledge. When I started this project I approached him for some craziness from his vast music archive and this is one of the things he sent. It’s women drumming on the surface of water with their hands. Simple but truly compelling. I added some reverb and bass just to accentuate its natural power. These guys come from two veterans of the famed Weilheim scene and the album from which this tune is taken may well be my favourite German jazz record of the recent years. Unfortunately, the album deserves much greater exposure, hence its inclusion here. I’ve got many Four Tet recordings and treasure them tenderly, but I wanted to choose one that was slightly off the beaten path. This is an excerpt from an album that came out on Text a few years ago, that seemed to slip under most people’s radar. I stitched this together with some other lyrical pieces that I layered on top. 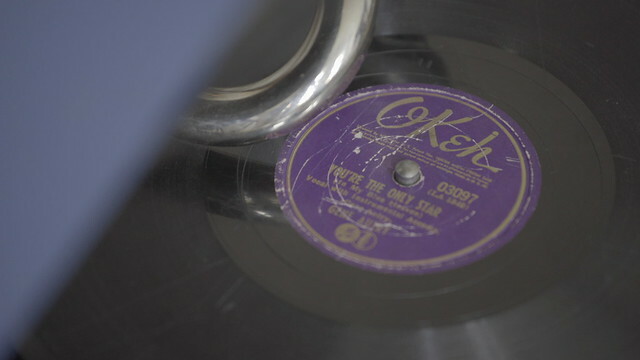 The fun of hunting for 78s is that you have to buy blind since there’s often no way of listening to them. I found this particular one in a flea market in the States. I’d accumulated a bunch of these gems, so I dug out my old phonograph player, dropped the needle down and recorded my favourites and this one stood out. I gave it a haunting, hypnotic quality with the judicious use of reverb. Often, the most interesting things happen quite by accident. This is one of them. I started to record my vinyl and went into the kitchen to make a cup of coffee and when I returned, I found I’d ripped it at the wrong speed. But listening back it sounded too good to press delete. This band really did change my life completely when I discovered them so I hope they will forgive me this “small” indulgence. Who am I to mess with BOC? Each part of this mix is important in someway, whether it’s joining two parts together or bridging from one song to another or changing the mood or direction completely. And even though I’ve only used a small amount of ‘It Was Willow’, it’s still just as important as any other part of the mix, because ultimately, it’s about creating atmosphere and moods with music and Bibio, especially his first two albums, do that so wonderfully. Long before I had moved to Berlin and got to know him in person, Dictaphone’s Oliver Doerell was one of my musical idols. There was something about his sound, both with Dictaphone and his other act Swod, that I always held close to my heart. It truly touched me. When I discovered that these guys were contemporaries of mine and that they lived in Berlin, it really made me want to move there to create music in the way that they were doing, too. This song still stands out as a timeless classic. It may seem incongruous amid the clatter and clang of the modern electronic recordings I’ve selected, but this recording has a lightness of touch in the way that he plays – as well as the speed and pace – that, to me, at least, this fits perfectly among these contemporary mavens. Listening to it, you’re left thinking: “Holy cow, what a player!”. As great as Miles Davis obviously was, this album, Sketches Of Spain, is at least as much about the great arranger who worked with him: Gil Evans. Naturally, Miles plays great here, but the contributions that Evans makes to the overall recording are so wonderful that I’m almost inclined to think it should have been a Gil Evans album featuring Miles Davis. It’s an absolute masterpiece, that’s for sure. Sometimes when you choose music, it’s not for emotional reason or even logical reasons. Sometimes a piece of music just fits, like a hand in glove. It could be that it’s in the same key, or the same tempo or the same feel, or there could also be just that little bit of indefinable magic to the recording that makes it just right. And so it is with Victor Sylvester. This collaboration project of talented producers raised the bar in terms what I’d come to expect from electronic music, with these elegantly interwoven textures and just the way they seemed to approach music-making. Even today I’m in awe. Let’s face it, Rhythm & Sound are the most exciting German contribution to dub. They’re just so brilliant at eking out compelling sounds from what seems like so little. It’s so deceptive. If someone put my arm behind my back and forced me to pick one, I’d say this is my favourite track of theirs: it’s a piece of mighty minimal art. It’s just perfect. We’re back with Miles again. I’m not making any apologies for that, either. For me, this is definitely the most listenable and ageless of Miles’ records and probably my favourite jazz tune. It’s such an iconic period for him, when jazz came together with the French nouvelle vague and produced this soundtrack album. Louis Malle, Kenny Clarke, Jeanne Moreau and Miles. You can’t go wrong. I love it when happy accidents occur, it’s part of the alchemy of music making and discovery. I found this version of what is probably Bach´s most recognisable song on an old vinyl album and I really wasn’t expecting much, until I put the needle on the groove. Now… it almost makes me cry each time I listen to it and now I don’t think there’s another recording that captures the beauty of the piece quite like this does. There are few people working in music today who approach their instrument in the way that Colin Stetson does. He plays the saxophone like nobody else and somehow transcends what is possible on that instrument. I feel like he and I are working in similar directions on different instruments but what we both have in common is a determination to try and push the limit of our instrument as much as possible. He always is a big inspiration for me. Also make sure that you see one of his shows, you won't believe how great he is. Is there another band quite like Penguin Cafe Orchestra? They must’ve traveled to a dreamlike universe where they plucked their ideas out of God’s clouds. This album was produced by Brian Eno in the early 1980s and they sounded like no-one else. They were the first band that I know of that sounded like an orchestra even though they were acting like a rock´n´roll band. This song is just adorable especially this live version, which has this incredible introduction. 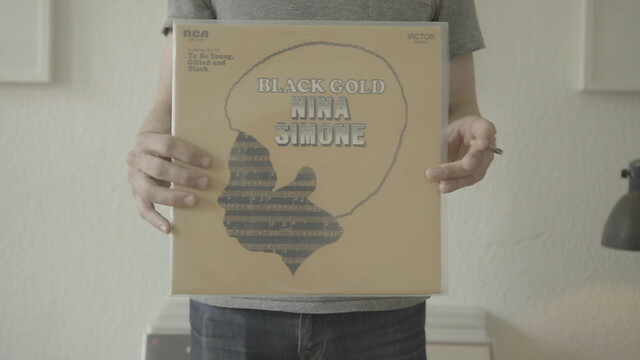 The way she holds herself and talks, you can hear what a truly special soul Nina Simone must have been. When the guitar comes in and she sings, it’s completely and naturally her. She expresses so much freedom and confidence. It’s between everything: rock, soul, pop, jazz. It’s not a genre, it’s just Nina´s music. Nina helped me finish this mix by recording her beautiful cat Cleo who is a Grande Dame of 20 years old. As you can hear she is very…tired. The same kind of era as some of the other electronic tracks I’ve selected: early 2000s. It sounds like a fantastic parallel universe, a band playing acoustic music but in the future or from a distant galaxy. I could never quite work out how they did it. This was exactly what I was looking for from electronic music: something that confused and challenged me. It’s a weird track, but I’ve listened to it a thousand times to try and work out how they did it. It’s one of the tunes that was key in propelling me headlong into trying to make better music. They’re most probably my favourite discovery from the past couple of years. They’re two brothers from Finland, crafting some excellent music out there. They make just excellent records. Buy them and listen for yourself, it’s really incredible music which will stay with you for a long time. This is the main theme from my first feature film score (from the motion picture Victoria) and it soundtracks the part where they finally kiss in the club… I soloed this piano part in the track and listening to it on its own, I almost preferred it to the original version, so I was pleased that I had the chance to use this alternative version on my mix. When I heard that Cillian was into my work, I was naturally very humbled. I cannot thank him enough to find some precious time in order to read this incredible short story for us. Thank you Cillian, I hope i can return the favour one day! 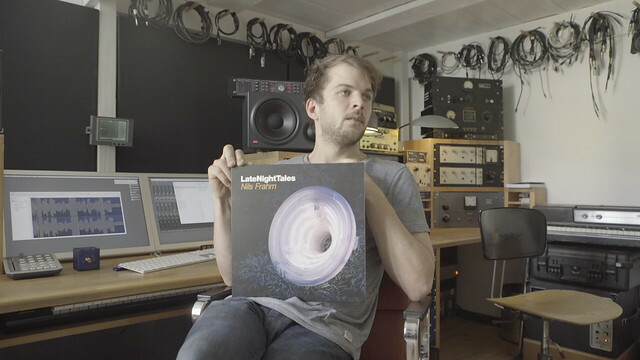 Nils Frahm's Late Night Tales, is set for release on 11th September 2015. Stream it exclusively now at latenighttales.co.uk.